The Black Rose is derived from ancient legends and folk tales predating the written word which, centuries later, were transformed into what became known as fairy tales. 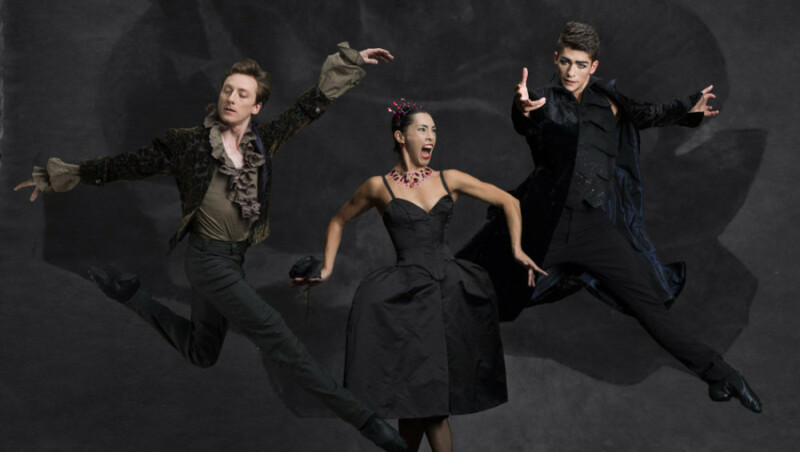 The Black Rose premiered on October 15th, 2014 at the Joyce Theater in New York City. Music for The Black Rose was commissioned by the Lar Lubovitch Dance Company. The Black Rose was made possible, in part, by the New England Foundation for the Arts’ National Dance Project, with lead funding from the Doris Duke Charitable Foundation and The Andrew W. Mellon Foundation, with additional support from the National Endowment for the Arts. The Lubovitch company deeply appreciates the generous support of the O’Donnell-Green Music and Dance Foundation for the creation of The Black Rose. Lead commissioner of costumes: Elysabeth Kleinhans. Lead commissioner of lighting & scenic elements: Jody & John Arnhold. If you are hitting the sales at Amazon.com for #PrimeDay, remember to shop at smile.amazon.com and Amazon will donate to Lubovitch Dance Foundation Inc.